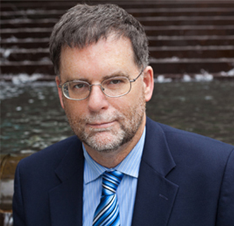 Douglas Robinson is Chair Professor in the Faculty of Arts at Hong Kong Baptist University. A freelance translator from Finnish to English since 1975, he is one of the world's leading experts on translation, author of The Translator's Turn, Translation and Taboo, What Is Translation?, Becoming a Translator, Translation and Empire, Who Translates?, Translation and the Problem of Sway, and Schleiermacher's Icoses, and editor of Western Translation Theory from Herodotus to Nietzsche and The Pushing Hands of Translation and its Theory: In memoriam Martha Cheung, 1953-2013. His recent work has dealt with intercivilizational cofigurations between China and the West: The Dao of Translation: An East-West Dialogue (Routledge, 2015), The Deep Ecology of Rhetoric in Mencius and Aristotle (SUNY Press, 2016), and Exorcising Translation: Towards an Intercivilizational Turn (Bloomsbury, forthcoming, 2017).